World Sickle Cell Day 2019 will be celebrated all over the world by the people on 19th of June, at Wednesday. World Sickle Cell Day was established by the United Nations General Assembly in 2008 in order to increase the awareness about the sickle cell disease and its cure among the common public. It was celebrated first time on 19th of June in 2009. Sickle cell disease has become a common and foremost genetic disease worldwide which is must to cure through the fast awareness campaign, curable activities, early diagnosis and management. United Nations General Assembly (63rd session) has declared the 19th of June to be celebrated as the World Sickle Cell Day annually to cover almost all the curable criteria through the fast awareness campaign to take this genetic health condition under control all over the world. Variety of promotional activities has also been started by the World Health Organization on worldwide level to resolve this hemoglobin dysfunction issue. According to the statistics, it has been noted that more than 1000 babies are taking birth every day having Sickle Cell Disease in the Africa and getting die up to five years of age. More than 90,000 to 100,000 people are affected of this disease in the United States. However people in other countries are also affected like India, Saudi Arabia, Turkey, Arabic peninsula, Brazil, Surinam, Guiana, Southern Italy, Greece and etc. It is a big public health issue worldwide which is must to take under control to save our healthy nation’s future. This genetic health problem has affected people globally due to which the risk of premature child death has been increased. It needs effective control with the strategy of early detection, public awareness and effective partner shipping of the countries. 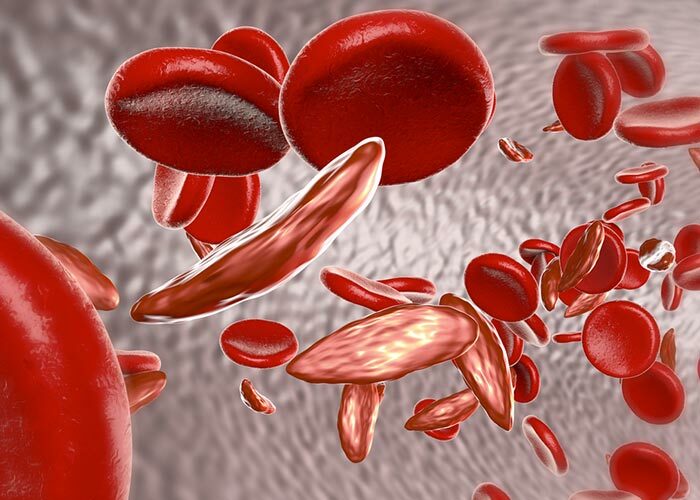 It is an inheritable, genetic and fatal disease causing red blood cells disorders which has been classified as sickle cell anemia and may lead to death. It is the most common public health problem in the African and Asian countries of the world. Sickle cell anemia means person suffering from anemia (less number of hemoglobin) due to the abnormal shaped red blood cells which gets stuck in their small blood vessels and cause blockage in the continuation of the blood flow in the blood vessels and whole body organs cannot get proper oxygen which leads to the common health problems like severe pain, organ damage or failure, severe infections, stroke, headache, liver problems, heart problems and so many. World sickle cell day is celebrated every year on 19th of June all around the world to raise the public awareness about this fatal disease to get effective control over the situation. It is celebrated annually by the active participation of the various government organizations, health funding agencies, non-government organizations, NGOs and other health organizations. It has become very necessary to run variety of campaigns to aware common public on global basis as well as encourage them to actively participate in large number in the celebration to get much closer to the realities of this genetic disease. It is celebrated to develop courage among public and support them through the educational and dramatic activities aiming to remove social stigma and myths about sickle cell anemia. It needs implementing widespread health programs for the screening of patients and early diagnosis of this disease. New parents are focused to get aware about the immunizations and its comprehensive care packages. Increasing effective awareness of sickle cell anemia as a major health issue worldwide. People living in each and every community all around the world should get aware about. All the myths and stigmas about sickle cell disease are removed. All the member countries are requested to establish various health programs to make easy access to the treatment for this disease on the national and regional level. Promoting the availability of satisfactory access to the technical supports and medical services for all people suffering from this disease. All the medical professionals are given well training facility for better prevention, research work and accurate implementation of the resources minimizing disease complications. To distribute the real information about the sickle cell anaemia much closer to the common public worldwide. Offer a big opportunity to all of them suffering from this disease by letting them know about their sickle cell status through an early diagnosis. Provide them opportunity to get contacted with the service providers for their confirmatory tests. To get support from the health organizations for funding, screening reagents, microscopes and etc. To get together all the medical professionals including lab assistants, scientists, nurses, counselors and etc. To get online support through the various social media websites to easily and immediately distribute messages among youths and other age group people. To implement new health strategies to completely eradicate this disease from world. To motivate private, government and other health organizations for active participation in the complete eradication of this disease. World sickle cell day is celebrated on 19th of June every year by organizing variety of awareness campaigns all over the world. Some of the awareness activities are motivating people for blood drives in the hospital or community, bone marrow registration drives, releasing balloons and butterflies, discussion campaign, general conversation program among common public, commemorative activities, awareness surveys of people, sharing of related stories through newspaper or online media, educational programs in community, presentations, sports activities, organizing rallies, meetings, press conference for awareness, fund raising for comprehensive treatment, blood awareness, donating tissues and cord blood, organizing comedy activities, quiz competitions and other related activities in the schools, colleges and universities. Other activities include related message writing on hand and message distribution, pictures drawing, creating hopeful messages, posters distribution, lucky draw contest, health talks, massage posting on social media website, organizing free checkup camps for testing of the sickle cell anemia, people’s response broadcasting through the radio and TV channels, marathon and many more. The theme of 2018 was “SCD:Walk For Hope”. The theme of 2017 was “Break the Sickle Cycle”. The theme of 2016 was “Exhibit courage and address ineffective areas of support”. The theme of 2015 was “For Sickle Cell to stop being ignored you must STOP YOUR SILENCE and SHARE YOUR TRUTH”. The theme of 2014 was “Break the Silence on Sickle Cell Disorder”. The theme of 2013 was “know your sickle cell status”. The theme of 2012 was “Keeping Hope Alive”. The theme of 2011 was “Educate and Unite”. The theme of 2010 was “Awareness, Education and Hope”. The theme of 2009 was “The Burden of Sickle Cell Disease – a Public Health Approach”. The theme of 2008 was “recognition of sickle-cell anemia as a public health problem”.